Spend your day learning all there is to learn about the different island cultures from all over the Polynesia Triangle of Islands. Your small group will be guided through the seven villages by a friendly Polynesian expert. You and your family are sure to take away a great understanding of Polynesian culture as well as some great fun and long lasting memories. Make your way to the Luau where you will experience the authenticity and excitement of luaus past. Receive a traditional lei greeting as you enter the luau. Witnessing the arrival of the Kings royal court will mark the beginning of the luau, and will be followed with a traditional imu ceremony (underground oven). Be enveloped by harmonious song and dance while you create treasured family memories. You and your family will be transported back in time and feel as though you are participating in an authentic Polynesian luau. Your luau allows you to choose from one of 2 fantastic meal options: The Prime Buffet,or the delicious Ali’i Luau Buffet! 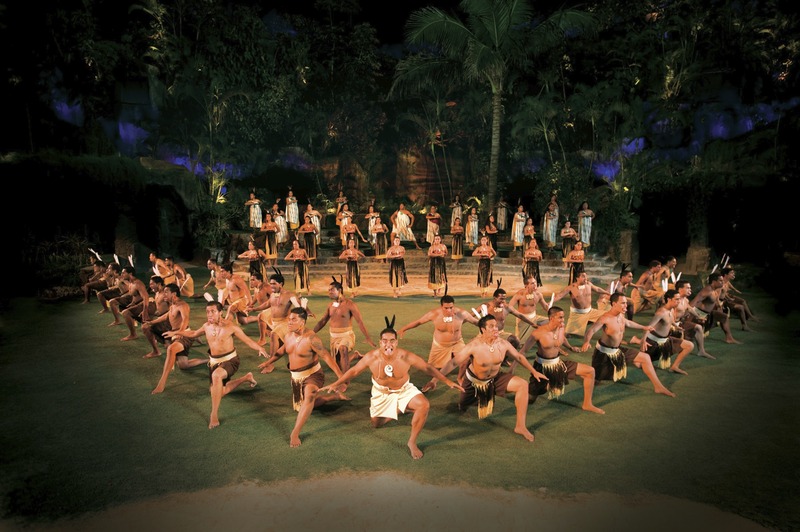 Finish off your evening at the Polynesian Cultural Center with the spectacular show HA: Breath of Life. You will find yourself immersed in the story of Mana and his beloved son Lani. This spectacular show tells the Pacific isles saga of birth and death, love and family, and triumph and tragedy, and you get a special behind the scenes tour. It will give you a breathtaking rendition of Polynesian life and a great insight into the ways of the culture, so book now to avoid missing out on an unforgettable experience. This is an experience that you certainly do not want to miss. Book your Polynesian Luau today, and get ready for the top paid attraction on Oahu!